They say the three most important things in business are location, location, location! 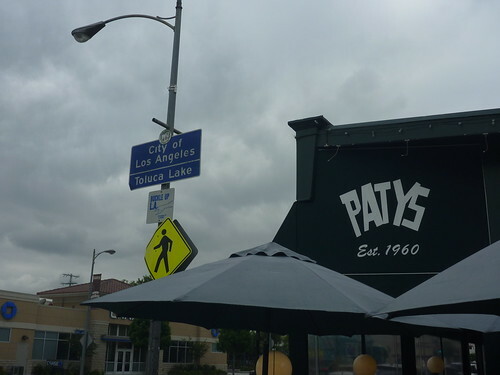 Patys in Toluca Lake, California both benefits and suffers by having a great location. They are located on Riverside Drive smack dab in the middle of the bustling movie business town that Bob Hope built. Which is good. They are also less than a block away from The Original Bob's Big Boy. 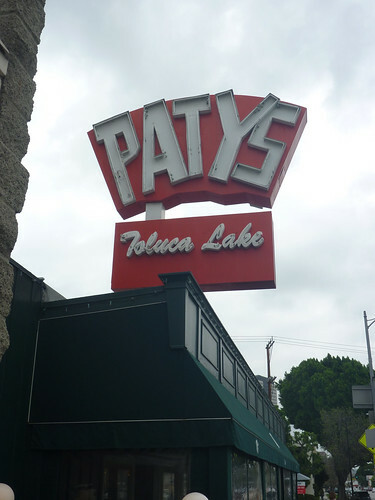 Which often makes Patys a second choice to most hungry retro diner grub. They have been serving up tasty American fare since 1960. But once you step inside you will soon realize why this place makes Bob's look like tourist trap. The vibe of the place is far more "local hang-out"than tourist attraction. The restaurant is populated with many characters and several character actors inhabiting Patys impressive counter and green leather booths. 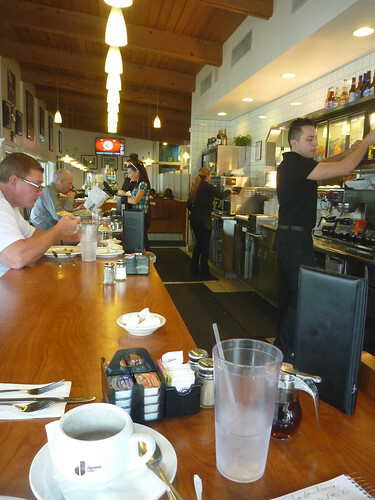 While I was there, I saw a guy I'm pretty sure was legendary comic Rip Taylor (or his body double) eating alone and some shifty leather-clad dude sitting in a back booth who looked a lot like Peter Fonda in his “Easy Rider” days. 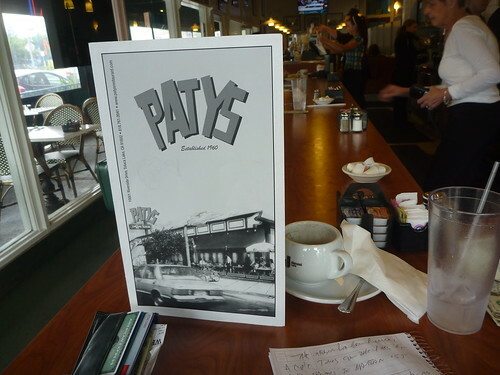 Patys has been remodeled a couple times but unlike The Sportsmen's Lodge, it has maintained its old school ambiance. 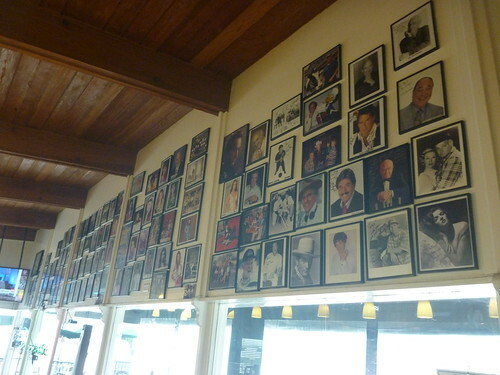 My favorite feature is the impressive “Wall Of Fame” that covers an entire wall. 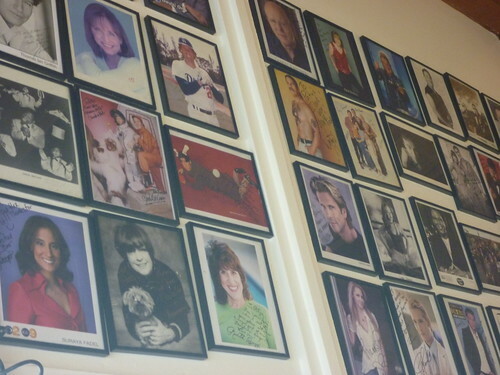 It features hundreds of framed autographed head shots of everyone from Ruth Buzzi to Lorenzo Lamas to Danny Trejo and movie car king George Barris. I love to come for Patys for one meal: Breakfast. While I'm sure the lunch and dinner choices are good, I only eat breakfast (served all day) when I'm there. 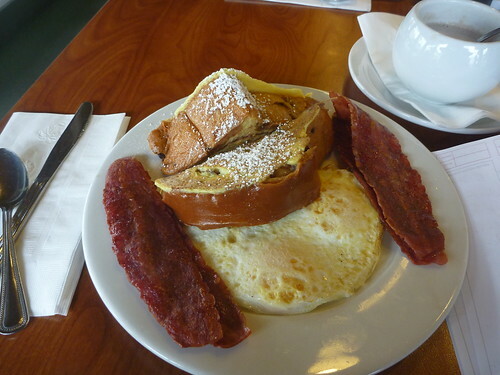 My go to favorite is the cinnamon swirl French Toast combo which is comprised of two thick and fluffy slices of stuffed French Toast, two eggs cooked to your liking and four strips of bacon (turkey for me.) If love had a flavor, it would be Patys cinnamon swirl French Toast. But if you're a breakfast hater (can there be such a thing?) they do have a large menu full of American comfort food choices plus several tasty pies and a full selection of Doctor Brown Sodas on display to cover all your carbonated needs. Celery or Black Cherry? Who can decide? Get both.